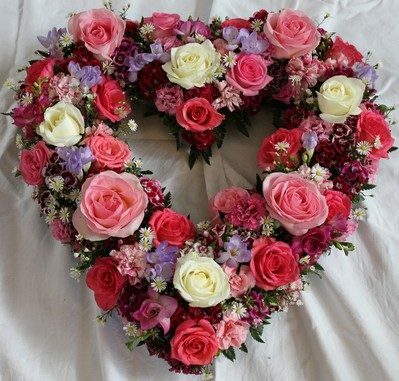 Closed Hearts: 14" from £85 18" from £135 Open Hearts 18" from £100 other sizes are available on request, all designs can be created in any colour or style with your preferred flowers. Flowercraft is a florist based in Lindfield, Haywards Heath, Sussex delivering funeral heart and floral tributes across the Sussex area. 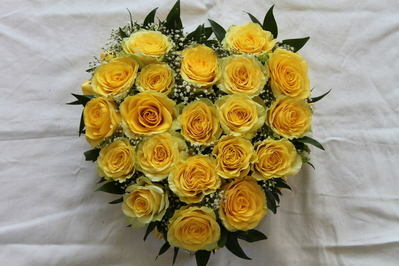 We take pride in providing beautiful designs to make sure you receive a fitting tribute for your loved one. Our shop is open 6 days a week, please call on 01444 484 472 or pop in to discuss any thoughts, ideas and favourite flowers.